On August 17, you can get her book for just $0.99 cents. Yep, you heard right. It’ll be available for just $0.99 cents. In addition to Terri’s story, you can also get four other books for this same price. How great is that? Five wonderful books by five great authors all available at such a great price. By participating in this event and helping Terri, and these lovely authors, rise up on the charts, you also have a chance of winning a great prize. 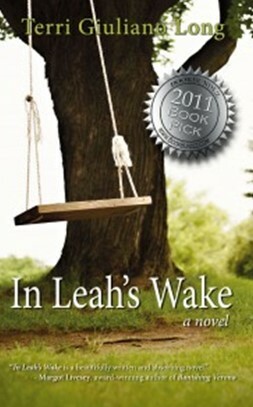 After purchasing In Leah’s Wake on August 17, go back here and fill out the form to gain 5 EXTRA entries into the Kindle Giveaway. Awesome, right? Not only are you supporting Indie authors this way, but you get a chance to win a Kindle to read your books, and many more, on. So come on, give it a go. Let’s make this event the best it can be and show others that Indie authors have what it takes to make things happen. And don’t forget that we authors love to hear what others think of our books, so feel free to leave them a review after you’ve read their books. They’ll appreciate it very much and will thank you for making this event into something monumental! This entry was posted in 99 Cents, Best Seller For A Day and tagged 99, 99 Cents, Authors, Best Seller For A Day, Books, Cents, Great, Great Reads, Indie, Indie Author's, Reads, Terri G. Long by LizzieBeth. Bookmark the permalink.